The twins, Beatrix and Vyvyan, were born 29 October, 2017, and this recording was made two weeks later on 13 November, 2017. 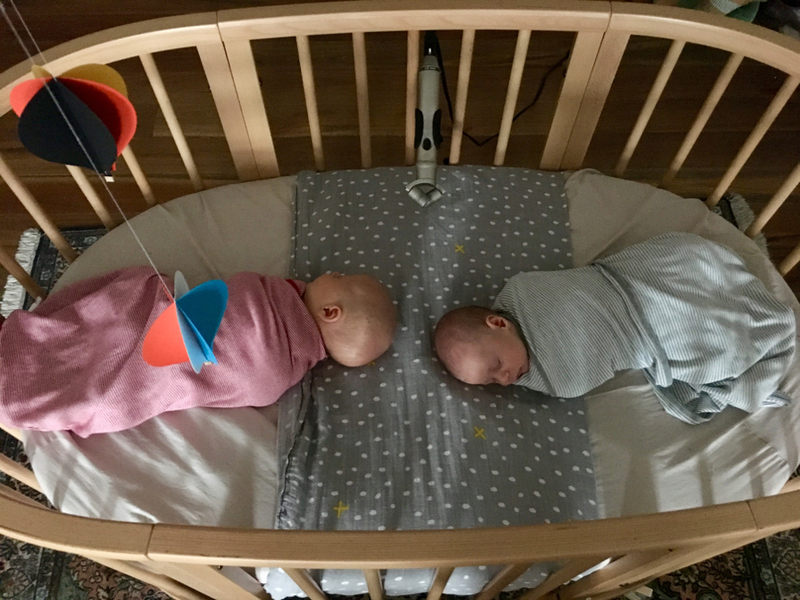 I set up a Rode NT4 stereo microphone between them as they lay head to head in a shared cot. Both babies had the hiccoughs, having just been fed. Their breaths were short and sharp, and not quite regular or in sync. They were like little machines spluttering into life. This period of time is a bit of a blur, and listening back doesn’t do that much to bring it into focus. It does make me proud that we kept them alive though. It’s now just over a year later and Beatrix and Vyvyan are just beginning to talk. This entry was posted in SOUND and tagged Joel Stern. Bookmark the permalink.